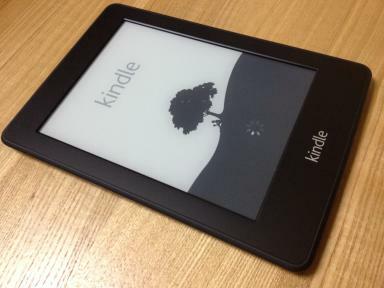 Kindle is an amazing device offered by Amazon. It allows you to have all your book collection in a small and portable device. There are many tricks and techniques that you can use to make the whole book reading experience more worthwhile. For instance, surprisingly many people who use Kindle might not know that some of the books can be shared. Yes it is true that some books have restrictions placed on them whereas others can only be shared once. However, apart from those, you can easily lend a Kindle book to a friend or a family member to read. Later on in this article, we will look at the proper method through which we can loan books on kindle fire. Kindle is a user friendly device that can carry all your books around with ease. However, despite all the space that is available, there will come a time when you feel that certain books have to be removed. If you are an avid reader, then there will be new books that you might want to read but do not have the space to accommodate them. Thus you need to know how to properly remove books from your Kindle. It might also be a good idea to return the books that you no longer need. Or it is possible that you make a purchase by accident. Thus it is crucial that you know how you can return a kindle book and get your refund. Coming back to our discussion, there are some points that need to be considered before we can learn how to return books on Kindle. The books that you loan will only be available to the recipient for 14 days. After that, it will be returned to your device automatically. During the period when the book has been lent, you cannot access it. Now that you know some of the terms and conditions, let us see how you can actually lend a book. The first step in this process would be to access your Amazon account. Therein you to select the drop down menu from “Your Account” and click on “Manage Contents and Devices.” A new window will open up that which contains the list of all your purchases. In that window, simply open the Actions button against the title of your book and select the “Loan This Title” option. If Loan this title is not an option, then you can not lend that book on kindle. After this you will be redirected to a new window wherein you will need to provide the recipient’s information which includes their name and email address. When you are done simple click on the Send Now button and your book will be shared. If you are having old kindle fire then here is one more trick. Please check the video. We hope that you found this article useful. We have other informative articles as well on a whole host of interesting topics like how can you optimize battery life of Kindle fire and how you can update and install flash player for your Kindle Fire. By following the steps we have laid down, you can further enhance your user experience. So to round it off, our main emphasis in this article was to discuss the easiest method of sharing books on Kindle. The key point was that you need to manage your device via the Amazon account. There are helpful Action buttons and drop down menus that enable you to manage, delete and loan your Kindle books.